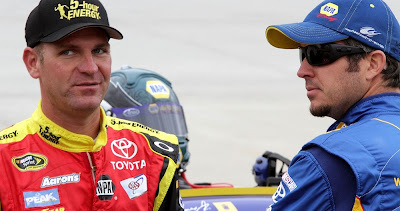 After Dover it appears that the Chase hopes of Michael Waltrip Racing rest squarely on the shoulders of Clint Bowyer. While Martin Truex Jr. has put on a heck of a show all season long, slipping to eighth and 42 points behind the leader, he is almost mathematically out of the race at this point. I would not fully eliminate him until after Talladega; that race could be the Chase-changing event. 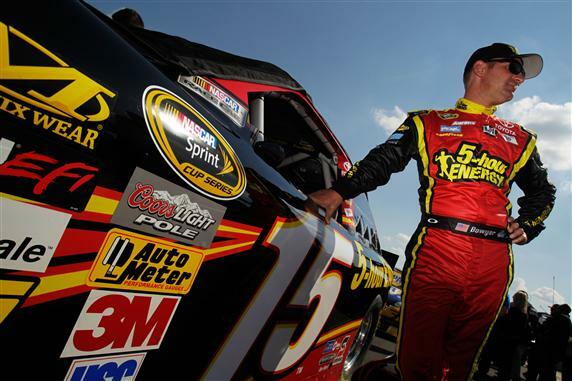 There is no denying the fact that Clint Bowyer is the underdog of the Chase. MWR is the little team that could, finally making the top 12 and now shining with this opportunity. Racing in the top five for much of the AAA 400, Bowyer continued to show why he may be the driver to watch as the Chase continues. After battling a loose car and falling a lap down with just 25 laps to go, Bowyer finished the race in ninth and one lap down. Only six cars were on the lead lap at the checkered flag. After recording his 18th top 10 of the 2012 season, Bowyer gained two positions in the point standings and as we head to Talladega, he ranks fourth. "We just didn't have the mileage to go there until the end," said crew chief Brian Pattie. "Our car was burning the right rear tire off too soon. So, when you do that, you just fall off the pace so bad. It kind of stinks. This team wants to run top five every week, and ninth place isn't good enough. We’ll go to Talladega and hopefully shake them up there." Did y'all see Mark Martin? I know you were mesmerized by Denny Hamlin and Brad Keselowski but Mark "The Kid" Martin is the definition of never give up. After climbing his way to tenth place early on, an ill-timed caution caught the No. 55 team a lap down just after pitting. With long green flag runs, it took over 90 laps until another caution allowed Martin to get back on the lead lap. In the closing laps Martin was able to stretch his fuel while the leaders were in conservation mode. Passing Jimmie Johnson with less than five laps remaining, Martin secured a third-place finish. Taking to Twitter, Martin said, "Wow! So close to a win again. I love this team. Thanks @rchilders55 @aaronssports@toyotaracing and @MWRteam You guys are awesome." "I don’t know, with all the show that was going on, if everybody really noticed or not, but we had a rocket ship, super fast car, Martin said. "Start of the race, green flag, we were passing cars left and right. It was awesome. It was great on restarts. We were making our way up from deep in the pack with our qualifying spot. Came back out, as soon as we got on the track, a caution came out. It had us trapped two laps down. So, we had to continue to fight from being buried and had a fast race car, passed a lot of cars, eventually got ourselves into the hunt. But, the race was just about over. I just want to really commend Rodney Childers (crew chief), underrated, a brilliant crew chief. I have a fantastic race team and I love being part of MWR (Michael Waltrip Racing). We are just having a blast." 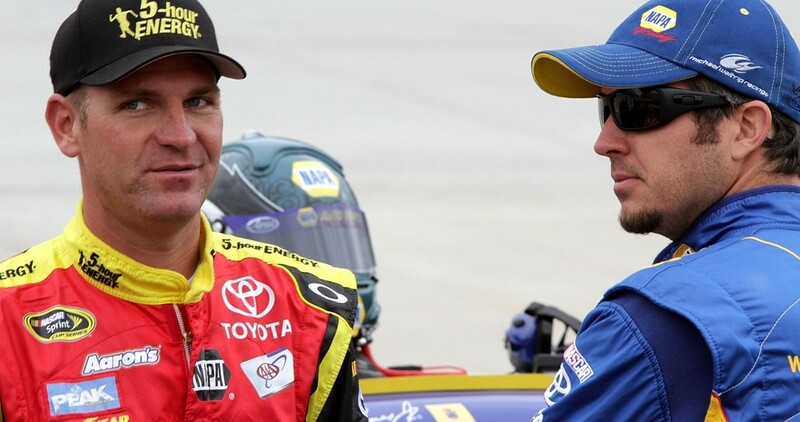 Team owner Michael Waltrip will be behind the wheel at Talladega. No track means more to Martin Truex Jr. than Dover. Just a short distance from his hometown of Mayetta, NJ, Dover is the site of his one and only Cup win. 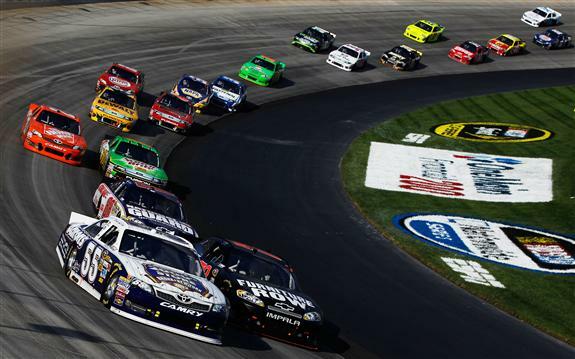 Like teammate Mark Martin, the race was a battle for Truex and the No. 56 team. After being one of the many cars a lap down, Truex earned the free pass with just 85 laps remaining. As fuel mileage became an issue, Truex raced his way to a sixth-place finish and now sits eighth in the points. "Well, it wasn't pretty at the beginning. 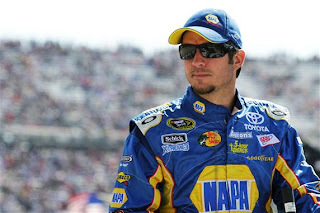 It was pretty damn pretty at the end," Truex said of his race. "What a crazy day. At the start of the race we were just terrible -- I don’t know what it was. Whether it was the first set of tires or what. And, we pitted and made a few changes and you know, of course, we got caught by the caution which got us two laps down. But, at that point right there the car was fast. It was fast all day after that. We just battled -- battled hard. We passed a ton of cars. Obviously, we got a few at the end there cause of the fuel mileage deal. We came from dead last there with the ‘lucky dog’ the last run and I was catching the 99 (Carl Edwards) -- he was on the lead lap all day. A little bit frustrated. But, all in all, we fought hard today. We showed what we were made of and battled. We were just off at the beginning of the race -- that’s all I can say."